The Security & Specialty Door Division of Door Control Services is positioned as a representative and integrator for manufacturers of architectural opening technologies from all parts of the world. Our mission is to provide a tailored door system to meet the design requirements of the architect, based upon the specific security desires of the owner. Integrating security and aesthetics, DCS is a total solutions company offering design, product, installation, service, and technical support. 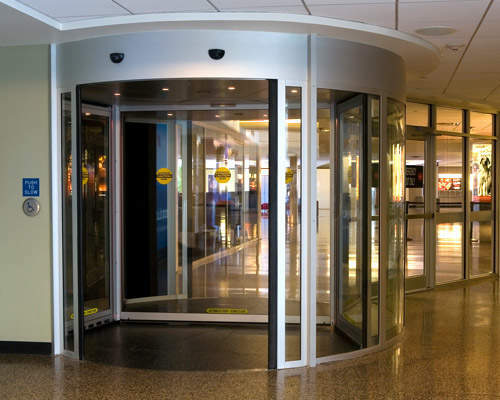 Door Control Services specializes in security opening products ranging from low security access control turnstiles to high-security access portals and revolving doors with metal detection, bullet resistant glass, video analytics and biometric access control. 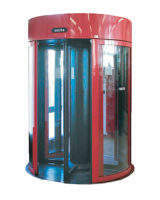 DCS offers a wide range of standard products and reserves a capacity for custom solutions as well. Security and throughput drive the development of products, just two of the many reasons end users find these products to be the perfect solution. DCS provides a variety of products and solutions, from standalone installations to complex network systems that are able to connect thousands of users in one campus. Access control obtains all of the necessary features to configure a user’s facility using readers, time zone, security levels and access procedures. Its GATEWAY components allow more servers to handle complex access control systems that are capable of operating automatically in the event of network failures. 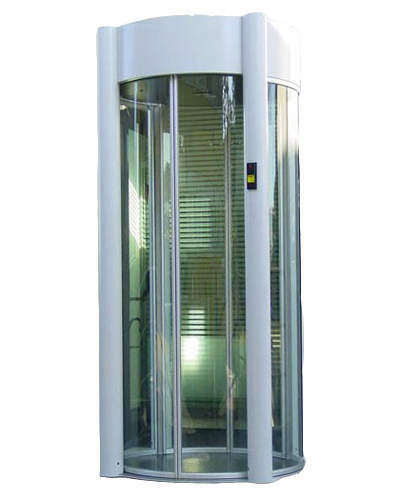 Product features include flexible working hours without increasing security/guard expenses, allowing multiple access control sites, automatic interlock doors, multiple authority levels, automatic interlocking security portals, infrared proximity access and controls, revolving doors, and low security/high traffic. 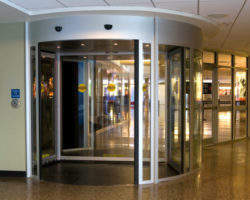 Low traffic doors with moderate access are the solution for a secure access and passage control environment. Smart, effective, and reliable, they suit most of the moderate access site requirements, both from the transport and installation point of view. Products range from security portals with object detection, anti-piggybacking and anti-tailgating to revolving doors with metal detection and bullet proof glass. Moderate access control meets security requirements with highly sophisticated solutions, including: built-in metal detection, left behind object detection systems, anti-piggybacking and anti-tailgating, in booth one-person-at-a-time checking systems, command consoles, traffic lights, intercom, voice announcer, access control/time and attendance interface system, camera system, magnetic strip, proximity, biometrics readers. It is designed specifically for banks branches, postal offices, industry sites, commercial premises, data centers and restricted areas (airport, railway stations, and so on). 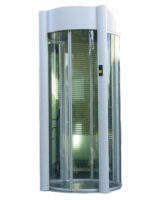 The products of the high security line are the solution for ultra secure access and passage control. The products provide a high level of security for a wide range of applications. All high security products are intended to provide integrated solutions for monitoring, detection, notification, containment and tracking unauthorized access to a sterile area. Featuring advanced detection and control technology, integrated with functional and reliable barrier components they include; security portals, anti-piggybacking and anti-tailgating, access control, object detection, curved glass, metal detection, and automatic interlock doors. It is designed specifically for financial institutions, government offices, industry sites, commercial premises, data centers, and transportation facilities such as airports or railway stations.